This spacious villa is located directly on the dike and is an ideal destination for large groups. It offers beds for 15 adults and one small child. It is not only the general area which makes this villa very comfortable, but also the luxurious furnishings and the separate storage rooms with washing machined, dryer and extra refrigerator which give it that little bit extra. 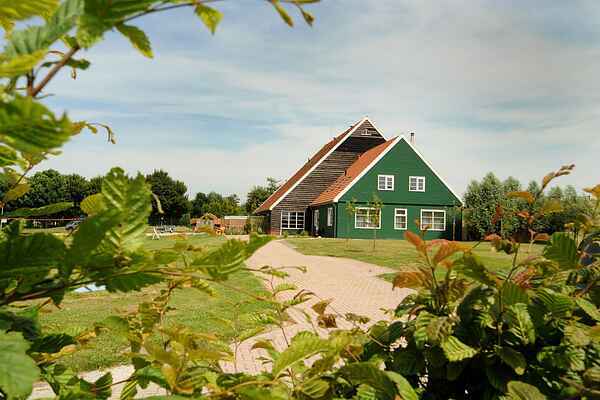 The villa adjoins "De Boerderij (indoor playground for kids) and is located by a sports field. This home is very suitable for families with young children. You have a fully enclosed garden with garden furniture and can watch the sheep ambling along the dike. Extraordinary enjoyment!